Despite what Kanye said, everybody did not get Yeezy Boosts. Another Kanye West sneaker release has come and gone. 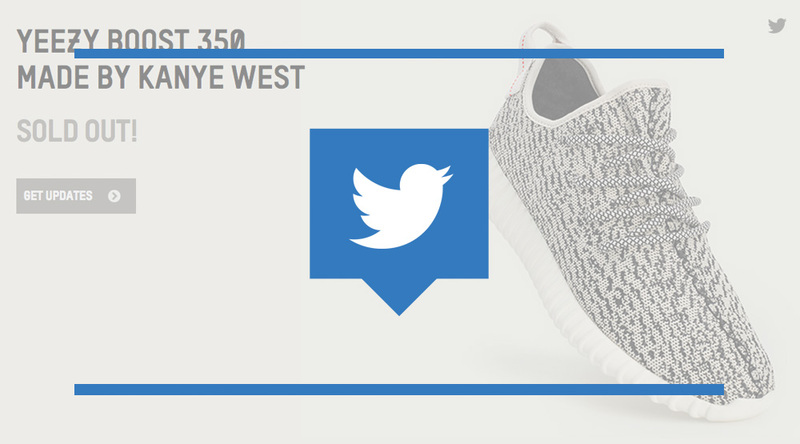 More than 300 stores, including most major online retailers launched the adidas Yeezy 350 Boost this morning. As expected, the shoes sold out instantly and majority of shoppers were left empty-handed, prompting them to swear off adidas forever. Of course, they probably said the same thing when they missed out on the Yeezy 750 Boost. But with great disappointment comes great comedy, and we've rounded up some of our favorite "Sadderday" Yeezy 350 Boost release reactions from Twitter. @adidasoriginals even your bitchass customer service has limited release calls or what?